All 23 DoorDash coupons have been verified and tested today! If you use DoorDash quite a bit, you may want to consider signing up for DashPass. 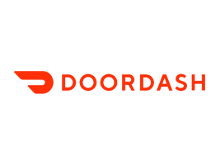 Dashpass is a subscription service from DoorDash which costs $9.99 per month. For your money, you’ll get free delivery on all eligible orders over $15. You’ll also get discounts on service fees, which will help you save even more money. Given that the average DoorDash delivery fee is $5.99, and service fees are usually around $1.99, you’ll save money with DashPass as long as you use DoorDash at least twice per month. Not all restaurants and menu items are eligible. When ordering, look for the DashPass checkmark logo, to make sure that your order will have free delivery and a lower service fee. You can cancel DashPass at any time, and if you sign up now, you’ll get a week-long subscription for free. DoorDash has started offering pickups for some orders from local restaurants. With DoorDash pickup, you can order ahead from local restaurants, and your order will be ready as soon as you walk in the door. You won’t have to pay any delivery or service fees when you order food for pickup, and your order will be ready much more quickly than if you have it delivered. So think about giving DoorDash pickup a try. You’ll save some money, and still be able to order online from your favorite local restaurants. If you invite your friends to use DoorDash, you can get up a $7 credit for each successful referral. You can invite up to 10 people, so that means you can get a DoorDash coupon for up to $70. To get started, simply create an account on DoorDash. Then, click the icon in the upper-left of the screen, and select Get $7 In Credits. On this page, you can send your referral code to friends through email, Facebook, or Twitter. You can also copy the link and send it to them manually. You’ll also be able to track all of your current referrals and see how many people have signed up with your invite link. Get your friends to sign up, and you’ll earn free food. When you sign up for DoorDash, you’ll be eligible to get free delivery on every order for up to 30 days. This discount will be applied to your account as soon as you first create your DoorDash profile. So take advantage of this promotion. After you place your first order, you’ll get $0 delivery fees for 30 days, which will help you save plenty of money. Note that service charges, extra fees, and tips are not included in this promotion. You are still responsible for paying these fees. There are a few extra service fees you should be on the lookout for when using DoorDash, to make sure you don’t pay too much for your takeout orders. By shopping wisely and avoiding these fees, and using a DoorDash promo code, you can save even more on your favorite menu items. If you use CNN Coupons to find a DoorDash coupon code, you can save on any item from your favorite restaurant. Just find a code, head over to DoorDash and sign up, and see all of your options! Found a DoorDash coupon code you’d like to use? Not sure how? Here’s what you’ll need to do. So don’t wait. Find a great DoorDash code. Did you place an order on accident? Plans for the night changed? No problem. DoorDash makes it easy to cancel your order. As long as the restaurant has not yet started making your order, you can cancel by clicking the icon of a person wearing a headset, in the upper-right corner of your screen. Then, simply click Cancel Order, and your order will be canceled. You will be refunded the entire price of your order, including delivery and service fees. If the restaurant has started preparing your order, you will not get a refund. However, you can still cancel your order by contacting DoorDash support.